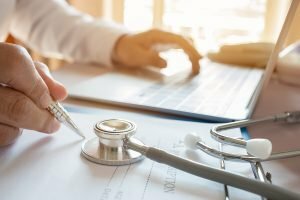 The emergency medicine-trained physicians at STAT MED Urgent Care provide prompt diagnostics and treatment to patients with a variety of non-life-threatening health concerns, including pneumonia. 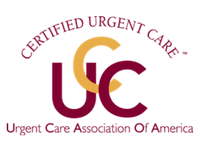 Our network of fully equipped urgent care centers serves families in Livermore, Concord, Lafayette, Moraga, Orinda, Pleasant Hill, Walnut Creek, and other nearby communities in Northern California. If you are experiencing a persistent cough, fatigue, fever, or chest pain when you breathe deeply, consider visiting one of our walk-in clinics for medical care. We are open Monday through Friday from 8 a.m. to 8 p.m., and on the weekends and holidays from 9 a.m. to 5 p.m. Prior to treatment, we may recommend for you to receive a chest X-ray to confirm the presence of an infection. STAT MED Urgent Care’s locations are equipped with digital X-ray machines to provide this service onsite. To learn more about our approach to pneumonia treatment, contact STAT MED Urgent Care today. We proudly serve patients throughout San Francisco’s East Bay area. We accept most major health insurance plans as well as Medicare, and a low flat rate is available to non-contracted HMO subscribers. In the event that you begin to experience more serious symptoms of pneumonia, such as shortness of breath, a prolonged fever of 102 degrees or higher, or severe chest pain, please visit your nearest hospital emergency room.